What was originally referred to as the East-West Center Theatre, is now known as the UH Kennedy Theatre. The rename took place just one week before commencing operations in 1963, when the UH board of Regents received the tragic news that president John F. Kennedy had been assassinated. The Regents convened and voted to formally change the theatre name, making Kennedy Theatre the first public building designated to stand in honor of the late president. The theatre has since remained a symbol of momentous American history. 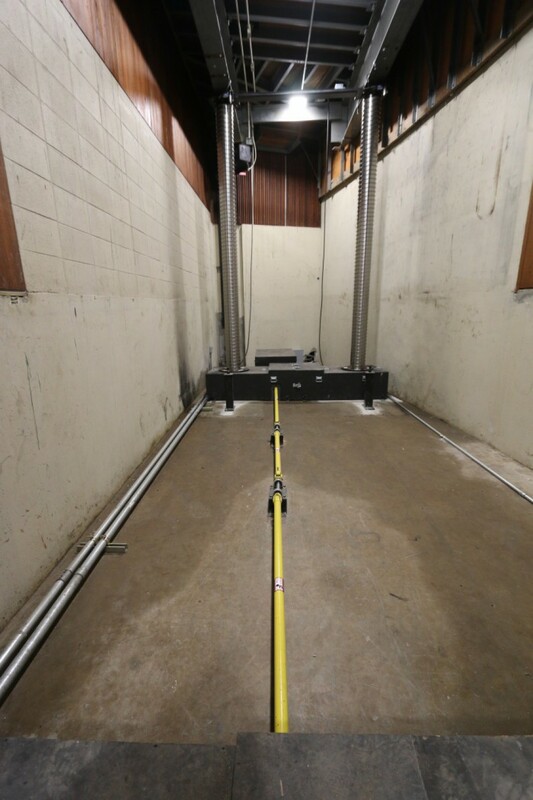 CENSEO designed the new pit lift using Spiralift technology by Gala Systems. This modern technology resolved the leaky mess and the need for deep reservoirs. Spiralift technology includes a strong, self-erecting, stable column crafted with two bands of interconnecting stainless steal, making Spiralift a key component to some of the world’s top-rated platform lifts. The CENSEO team understood the importance of preserving this space and how much the Kennedy Theatre has contributed to the culture of UH and the community as a whole. 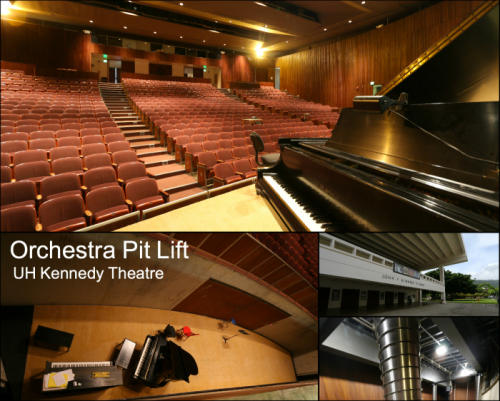 CENSEO’s engineers were grateful to be given the opportunity to work alongside several other talented individuals and to help achieve the best design possible for the Kennedy Theatre. Participating in the restoration of this historical building has been a great honor. After a half-century of shared moments, the original stage had grown tired. 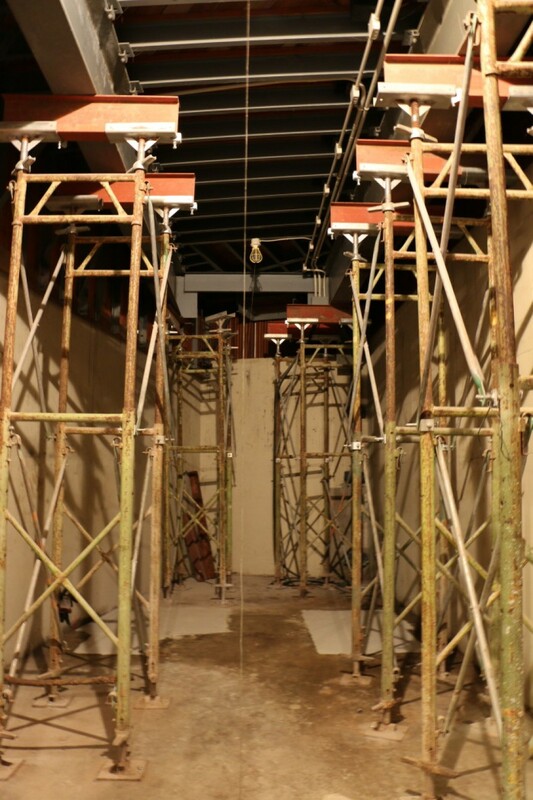 The performance of the 50-year-old hydraulic pit lift at the UH Kennedy Theatre had been slowly failing. What was once a cutting-edge structure of theatrical versatility had become an outdated, eventually immobile limitation to the possibilities of a great space at the university. The structure demanded continuous maintenance and eventually scaffolding for support in its immobile position. CENSEO’s challenge was to find the best solution within budget considering several factors such as functional design, longevity, and operational efficiency. CENSEO chose Spiralift technology by Gala Systems to resolve the problems of the existing hydraulic system. The installation went smoothly and the system adapted easily to the space. Reservoirs existing deep into the ground (once providing space for the hydraulic system to lower) were filled in. 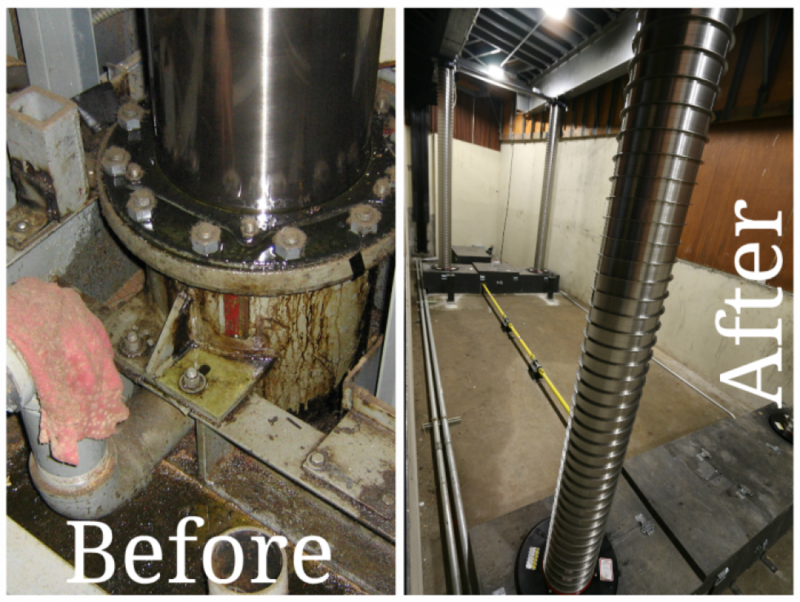 Scaffolding was removed from the space, and Spiralift was installed with ease, increasing safety and reducing maintenance. The new orchestra pit lift is expected to be a cherished part of the historical theater for years to come.